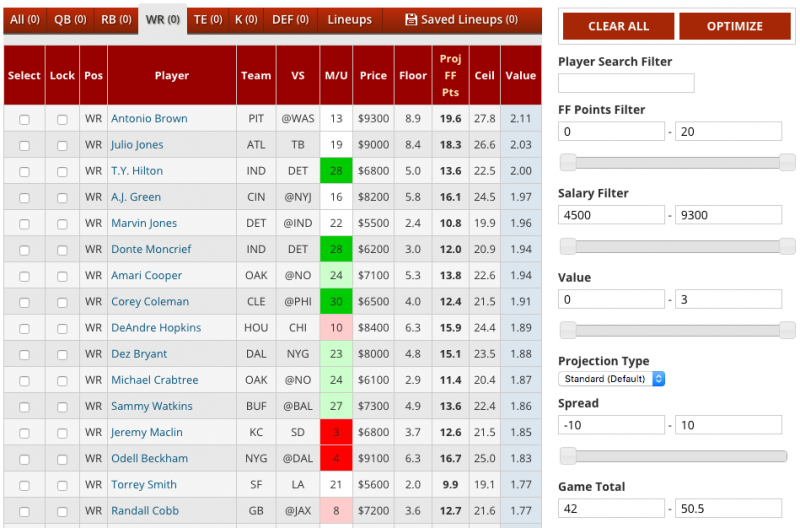 Spot values in daily fantasy football by dividing the industry's most accurate weekly projections by DFS site salaries. Access to the Value Reports requires a DFS Subscription. 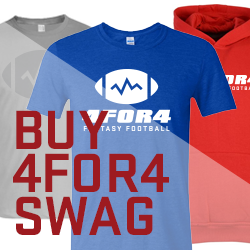 Not a DFS subscriber? SUBSCRIBE TODAY. Subscribers can see every player’s projected points per $1,000 value according to 4for4's industry-leading projections from FantasyPros' repeat accuracy champ, John Paulsen. The Value Reports work in tandem with our revolutionary Lineup Generator. You can filter players to be included in lineups by game, game time, salary, projected fantasy points, $/point value, home/away, Vegas spread, over/under, and team total.